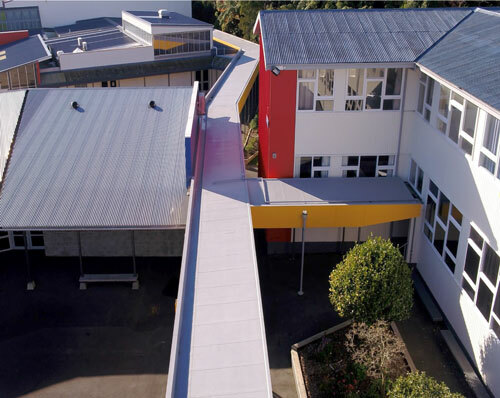 Duraflex is a hardwearing and versatile coating that is internationally proven. 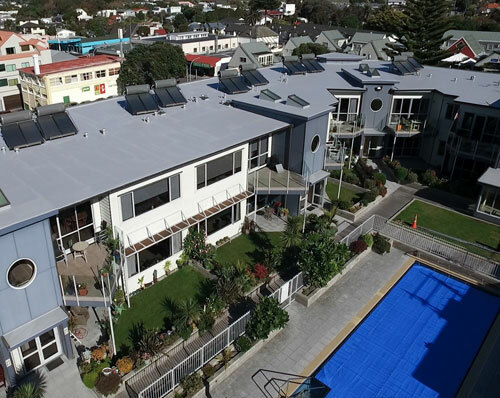 By having Roof Treatments Ltd. check your roofing and ground surfaces, you are making the best decision for your pockets, day-to-day lifestyle, and valuable assets. That’s because instead of immediately installing hugely expensive and disruptive new roofs or decking, we’ll work out all the available options to revitalise, protect, and preserve what you already have. 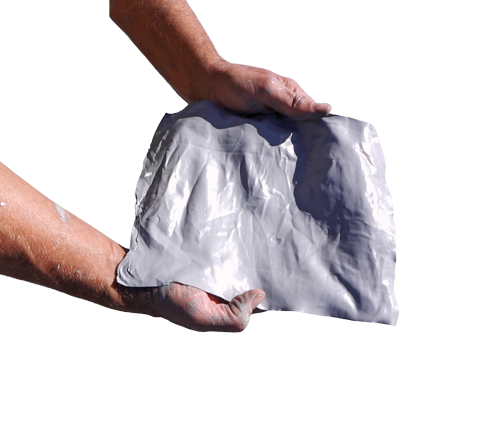 Many times, we find that Duraflex is the non-disruptive, cost-effective, and long-lasting alternative. It can be applied to a wide range of substrates and materials, including butynol, asbestos, fibreglass, iron, timber, concrete, and more! Duraflex isn’t just a short-term fix. 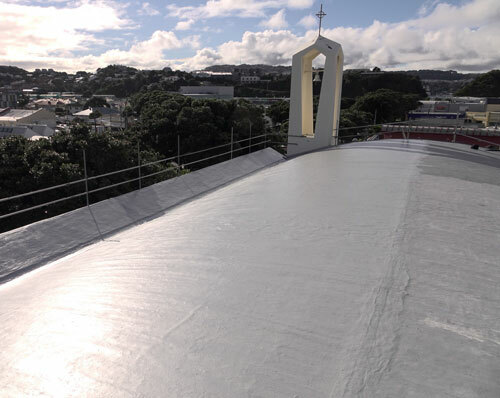 As Duraflex specialists, the product comes with a 15 Year Guarantee when you use Roof Treatments Ltd.
Duraflex is an amazing technology that revitalises, protects, and preserves surfaces against all the elements. It’s resistant to future growth, and is non-slip. We can apply it to your rooftop, decking, balconies, walkways, walls, and wet areas. It is simple and non-disruptive to apply. 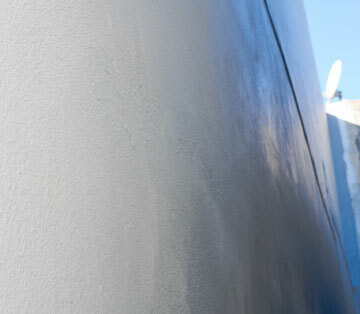 We hand spray the Dura-Flex directly, in its liquid form. It will access all those hard to reach crevices, cracks, joins, and gaps that could be causing leaking, or damage to the surface material. It will even penetrate holes as small as a pinhead. It will quickly dry, mould itself to the surface and harden – while remaining completely flexible. We’ll then apply as many coats as it takes to make sure it is truly sealed, and ready to stand up to any conditions for years to come. It should be easy for property and business owners to protect their assets. That’s where we come in. Getting our team to do a bit of simple maintenance on your roofing and ground surfaces now can be a real cost-saver in the long run. All you have to do is ask, and our knowledgeable and honest consultants will be happy to check your rooftops, balconies, decks, driveways, pathways, and walls for you – free of charge. Then we’ll guide you through all your options, and make recommendations.We are Licensed Building Practitioners with over 40 years’ experience in roofing (including new roofing, re-roofing, and total restoration), treatments, and sprays. We hold Health & Safety Standards in the highest regard, and we are trained in Fall Arrest Systems to Unit Standards 15757 and 17600. We offer a range of chemical treatment solutions. 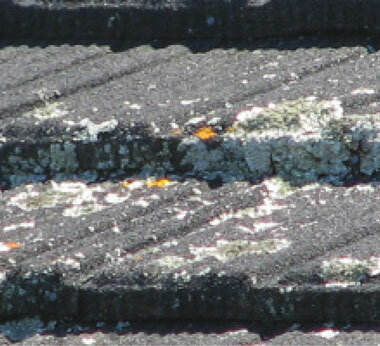 Moss, mould, and lichen not only make your rooftops, decking, driveway, and pathways look bad, but they can be extremely damaging and even dangerous. We apply speciallyformulated sprays to treat growth that occurs on these surfaces, and the resulting issues it can cause. Saturating the area by directly applying our low-pressure spray is an incredibly efficient, low-disturbance, and cost-effective way to ensure all growth is destroyed. This will extend the life of the underlying material, and is the first step in preparing it for then resealing or coating with a product like Duraflex. You’ll have less chance of leaks and mould inside your home, and your ground areas won’t be as slippery to walk on. Not only that, they’ll come back to life, and look much sharper! Growth that’s left untreated can break down coatings and sealants, exposing the surface and shortening the life of the roof. 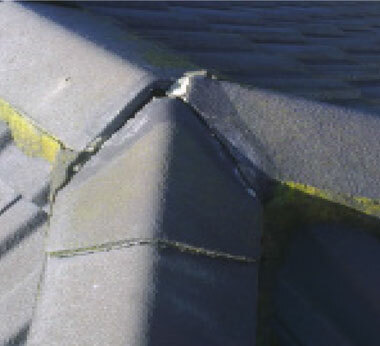 We can treat and repair your roof and even paint it for you. Growth can break down the mortar. Water channels get restricted and rain begins entering the internal area as well as loosening tiles. We can treat, repair and re-paint. Growth that’s left untreated on metal tiles and iron can break down coatings and sealants, which exposes the bare metal and iron surface and dramatically shortens the life of the roof. 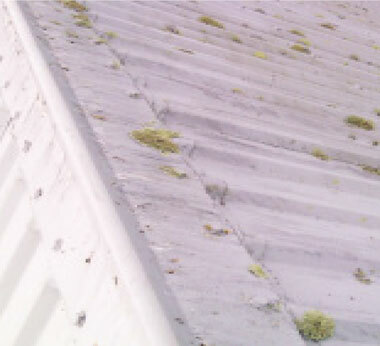 Growth that’s left untreated on asbestos can start breaking it down which shortens the life of the roof and is extremely dangerous for people exposed to it. 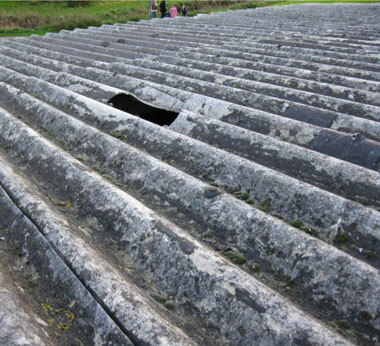 We can safely and effectively treat and repair asbestos roofs. 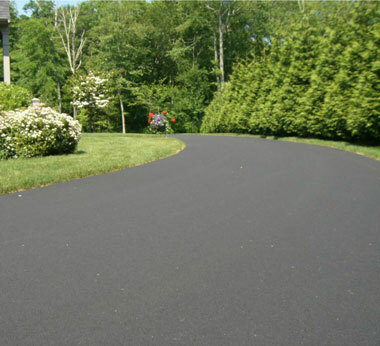 Staying on top of growth on asphalt early is vital for its longevity. 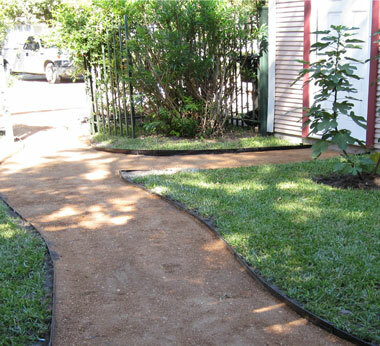 A presentable and well-kept driveway is so valuable when it comes time to sell too. Growth on decking can ruin the timber, and make it slippery. 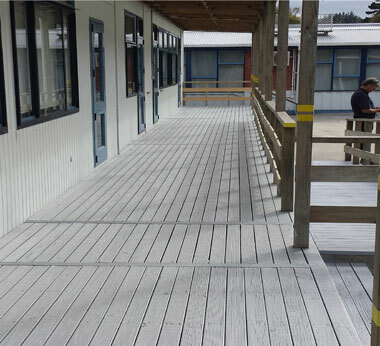 We use chemical spray to remove growth and then Duraflex can be applied afterwards to protect the timber, prevent future growth and make it non-slip. Growth on pathways can be slippery and dangerous. We use chemical spray to clean off growth and then Duraflex can be applied afterwards to prevent future growth and make it nonslip. 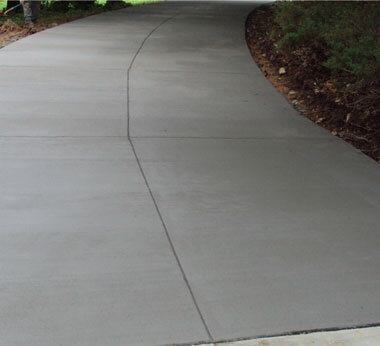 Growth causes concrete to crack, become slippery and cause gravel to become uneven. Staying on top of it by treating your driveway early with our chemical sprays is vital for its longevity and really cleans it up too!